Tropical Stormfront is Real-Time Strategy (RTS) game in a tropical setting. You take command of troops to join the ultimate war of good versus evil. In the game, you choose one of these countries : USA, China, Russia, England, Germany, India, Japan, and Brazil. 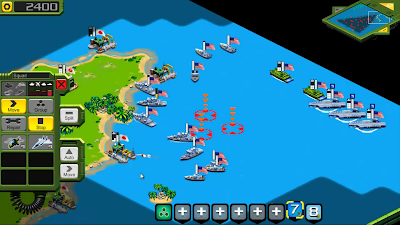 Troops of all countries look the same however they can be identified by a little flag waving over each of your units and bases. The game has already been released on Android Market and has received lots of positive reviews. Check out the video below to know more about the game. Linux version is currently under development and will be out soon.